Another year, another immensely successful Honey Baking Summit. It was the eighth edition this year and the sixth in a row at Johnson & Wales University’s beautiful campus in Providence, Rhode Island. 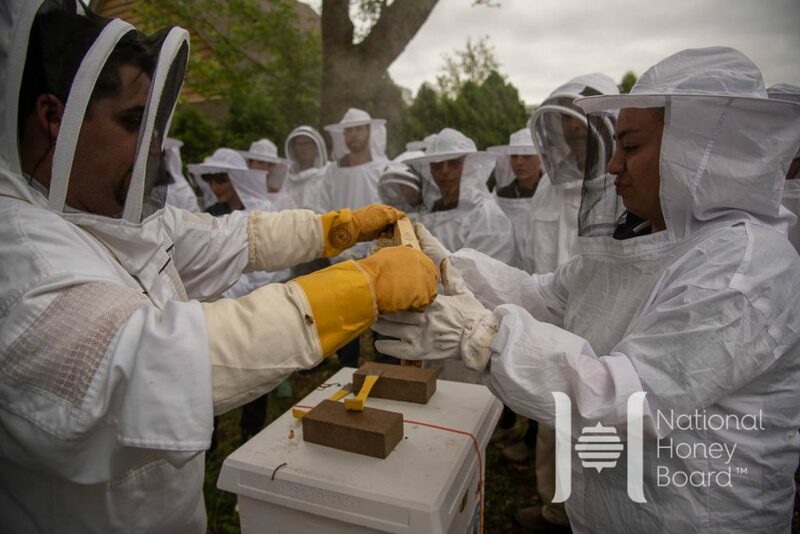 The National Honey Board and the retail baking industry have always had a close relationship, but every year we learn new things, meet new people and create innovative new ways to use honey in artisan breads and sweet goods. Here are the top five things we’ll take away from the 2018 Honey Baking Summit. Because we work in the industry, it’s sometimes easy to overlook the natural process that occurs to make honey. Spotlighting the floral source, honey bees and beekeepers, we kick off every Honey Baking Summit by telling the story of honey from the bee to the bottle. 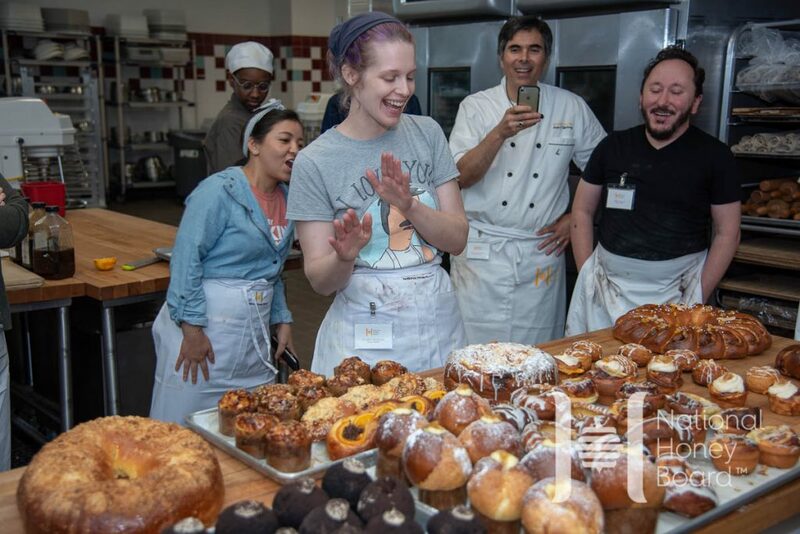 And just like in year’s past, it’s rewarding to see our baker attendees with mouths agape as they learn about the amazing and all-natural process that occurs to create this wonderful baking ingredient. The Honey Baking Summit always has had a significant bench time portion. However, for the second year in a row, we left quite a bit of unplanned time for bakers to experiment and get creative with how they use honey in base formulations. The results were amazing, with new ideas and techniques shared among all attendees. It was a great reminder that sometimes our job is to simply get out of the way and let bakers bake. In addition to giving the bakers more “free” time to create, we also crafted our recipe development to showcase how different honey varietals would contribute different properties in a finished product. 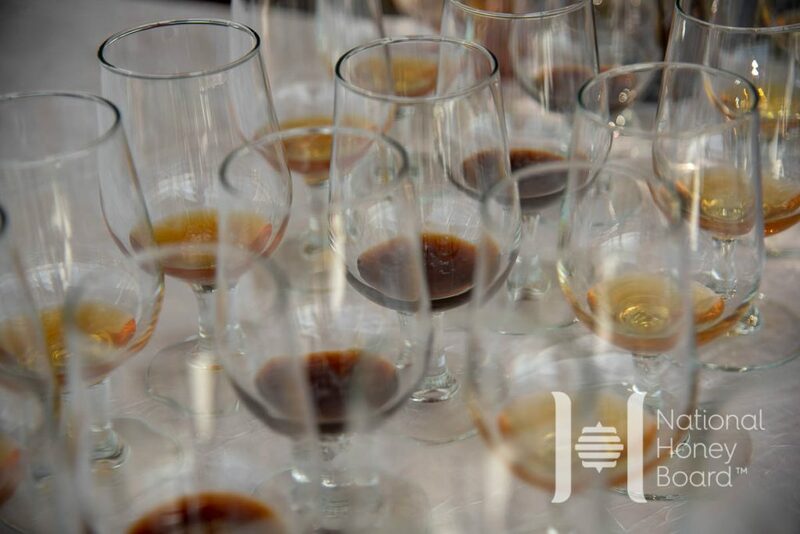 At the end of the event, we conducted samplings of these base formulas with only the honey varietal changed. It was amazing to see the differences in color, aroma and taste bakers will be able to produce by just changing what type of honey they used in a product. This isn’t really a new revelation or learning, but it is something we are grateful for every year. Since the first Honey Baking Summit, we’ve partnered with chefs Melina Kelson and Richard Miscovich to run the baking portion of the event. Every year, they deftly guide five teams of bakers through complex formulas and demonstrations. It’s something that never gets old watching. 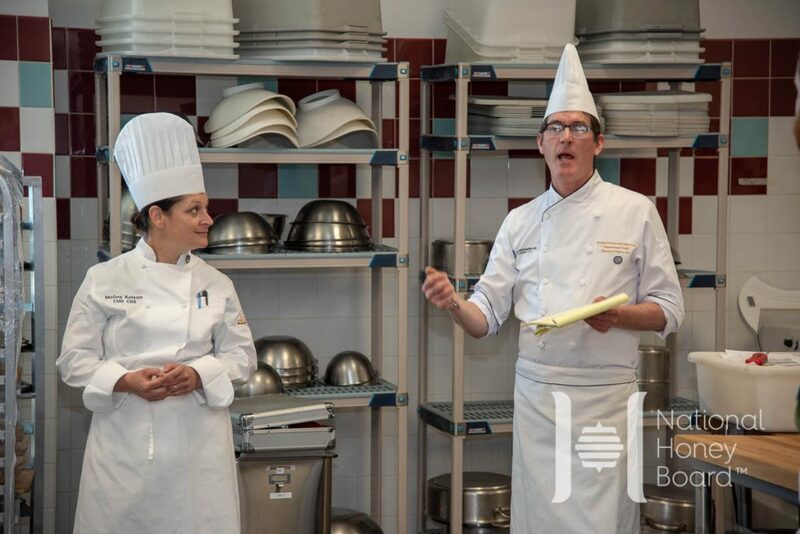 At our first Honey Baking Summit at Johnson & Wales in Providence, we met and worked with the university’s director of culinary operations, Matt Tetzner. Six years later, we’re still working with Matt on the logistics of the event, but this year, he also served as our resident beekeeper and honey bee educating, walking our 20 attendees through three hives and his role as a beekeeper. 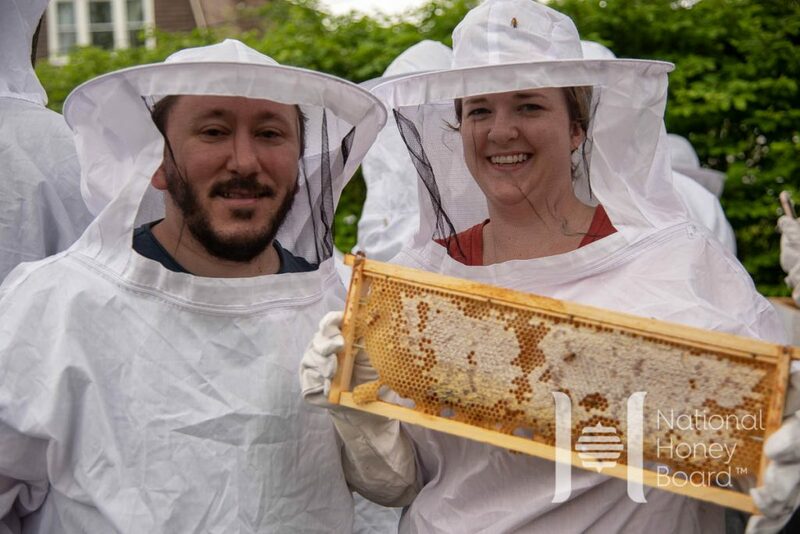 It was one of the best apiary tours we’ve ever given our attendees, and it was great to see the Honey Baking Summit not only is inspiring bakers, but also the University to house three hives on campus. Interested in attending the Honey Baking Summit? We keep this event small to give each baker the opportunity to maximize their time learning about honey and collaborating with their fellow bakers. Please fill out the form if you would like to be considered for the Honey Baking Summit.